Drills deep for the refreshing stream of life-giving water that must begin to flow freely if we are to restore the church and rebuild America, before it's too late. Robison's campaign for 2016 and beyond is the restoration of the Christian faith and the renewal of an America whose foundings have eroded. The Stream charts a clear path to personal restoration and outlines a plan for spiritual revolution in our culture, values, morals, and in government. 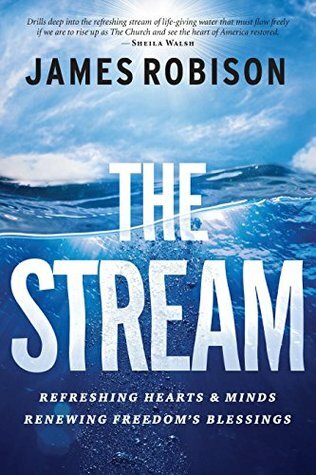 "The Stream" is a book that is very relevant to the culture we live in now discussing and recognizing that as a society we must fight for the values and freedoms we have that are being taken away from us. I also enjoyed the Biblical wisdom, practical advice, history, encouragement and honestly, it will give you a different perspective on the elections. Instead of talking negatively about the candidates, it will move your hearts towards praying for our nation, the world and our candidates. It is a fantastic book that I really enjoyed. I give this book 5/5 stars. Thank you Worthy Publishing for providing me a complimentary copy for review purposes. 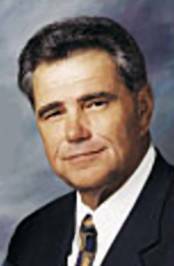 James Robison is an American televangelist and the founder and President of the Christian relief organization Life Outreach International.